How does NF1 affect you? How does NF2 affect you? How does Schwannomatosis affect you? Neurofibromatosis loosely translates to mean 'Nerve Tumour Increase'. The term neurofibromatosis covers three conditions. What is Schwannomatosis? How is Schwannomatosis diagnosed? How does Schwannomatosis affect you? We could not continue to provide the vital support and services for people living with nerve tumours without your help. Nerve Tumours UK provides crucial support and empowerment for those affected by nerve tumours in the UK. The Nerve Tumours UK team are waiting for your call! We love to hear from our supporters, regardless of the reason. “The Pilgram's Way” stretches between Canterbury and Winchester at a distance of around 120 miles. Both Jem Musselwhite and Rich White are going to walk this distance in an attempt to raise a great sum of money for our charity. They are doing their walk in order to support Jem's grandaughter Lilly who was diagnosed with Neurofibromatosis at the age of 5. Everyone at Nerve Tumours UK would like to wish them both well and that their walk is a success. If you would like to read more about their story then click on this link HERE or if you would like to donate to their cause then you can find their Just Giving page below. Jem and Rich have now finished their incredibly long walk! It took them nine days to walk a total of 144 miles. A remarkable achievement in which Jem and Rich at the very least deserve the next nine days off, movement free. Everyone at Nerve Tumours UK would like to say thank you to both Jem and Rich for their amazing work. Saying that they went the extra mile for our cause would be a massive understatement! Everyone in the family made sure to show their support for both Jem and Rich by turning up at the finish line, kitted out with their NTUK t-shirts and balloons. 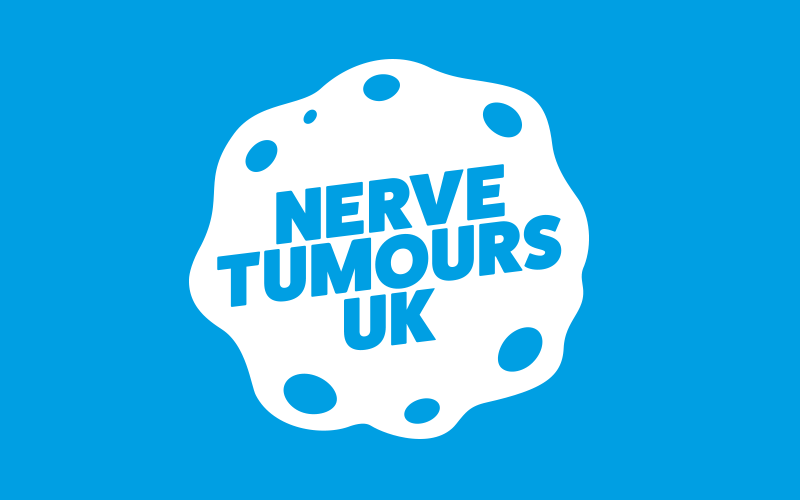 Nerve Tumours UK has taken reasonable care to ensure that the information contained on this website and in its newsletters, literature is accurate. Nerve Tumours UK cannot accept liability for any errors or omissions, or for information becoming out-of-date. Any information given is not a substitute for getting appropriate medical advice from your own GP or other healthcare professional.